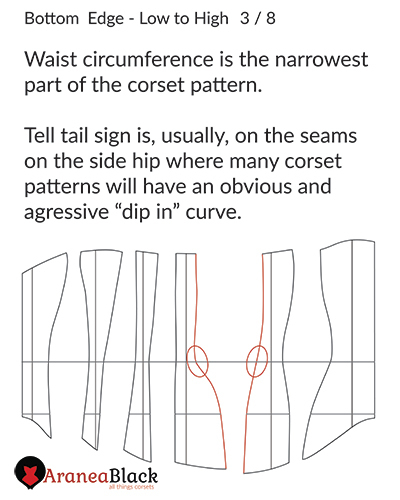 How to make a waspie corset pattern? 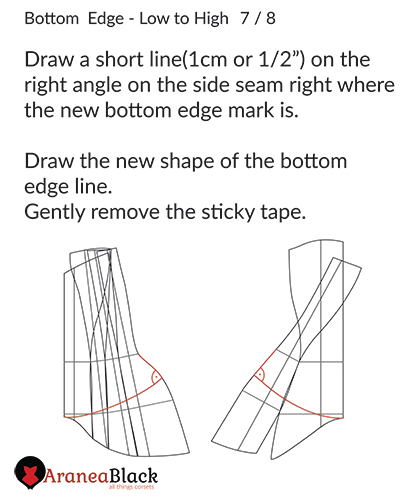 How to shorten corsets bottom edge? 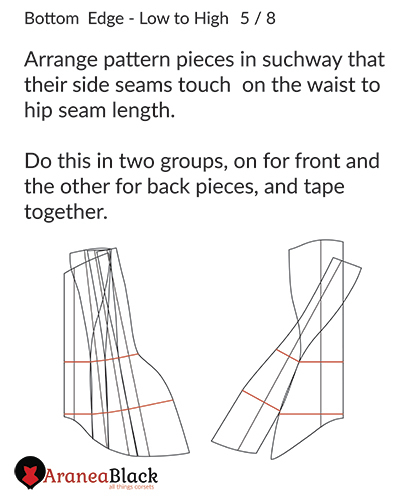 With this tutorial you can tackle that corset pattern that you absolutely love but would like to spice things up a bit. 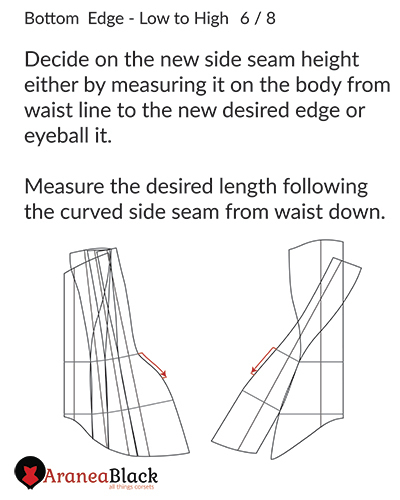 Shortening and reshaping the bottom edge of a corset pattern can open up many design opportunities. 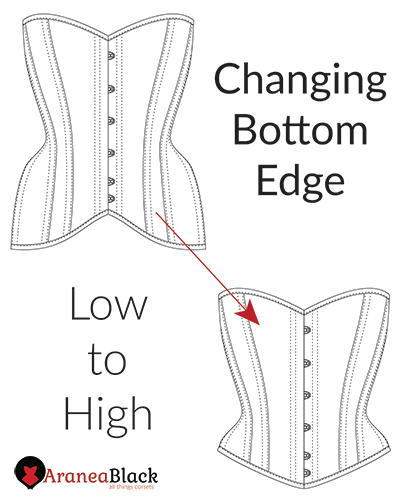 It will also make your corset a bit more comfortable to sit in for long periods of time! 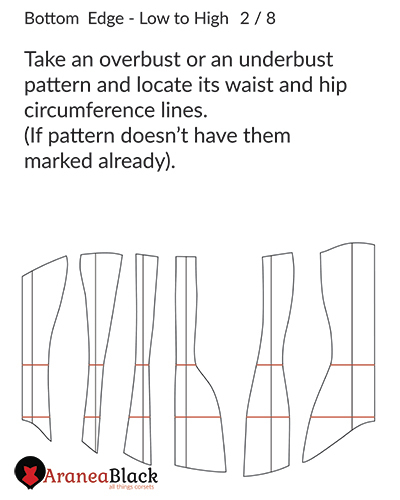 Combine this with this gem on transforming an overbust into an underbust, to create a completely different corset, using the same pattern as your starting point! 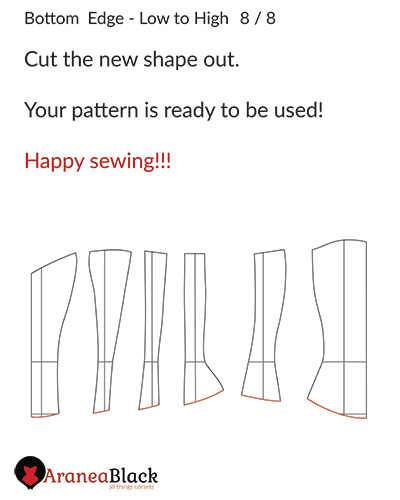 Hope you will find this useful! 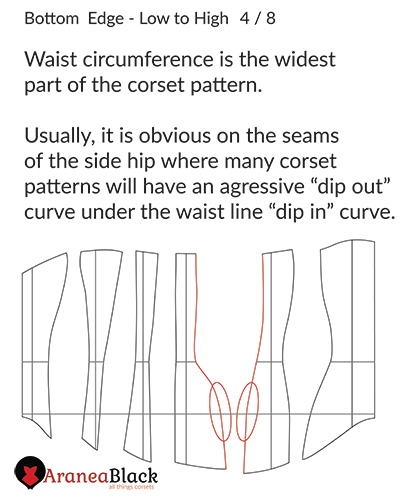 Method is demonstrated on a modified Overbust corset pattern TESA though the same principle can be applied to any other corset pattern. Aside from the instructional tutorial being available online, it can also be DOWNLOADED as a PDF file for offline viewing.